In development of modern economies, one of the key roles is played by startups. A well-developed ecosystem of startups creates favorable conditions for development of innovative solutions and products that can sometimes revolutionize the market. Turkish startups are still far away from the leading in innovation California’s ‘Silicon Valley’, but the local ecosystem is slowly starting to shape solid foundations. 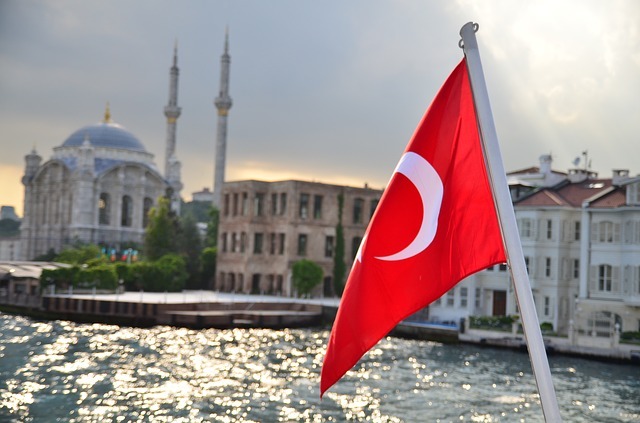 Turkish startups receive support from government institutions such as TUBITAK or TEPAV. One of the sectors, which pulls the Turkish economy forward, are information and telecommunication technologies. The sector’s development is conducive to the demographic structure of Turkey and the government’s policy. Compared to Western Europe, the Turks are very young people. One-fourth of the citizens did not exceed 15 years of age, and half of the population are people who are under thirty. This is potentially a very large group of consumers of mobile services and portable electronic devices. TUBITAK provides grants and funding, supporting primarily research and development. TEPAV in turn, is a think-tank on issues of cost, which is involved in the Global Entrepreneurship Program organized by the US government. It is a bridge between Turkish businessmen and American investors. Within the frame of ‘Techno-entrepreneur’ program, the Turkish Ministry of Science, Industry and Technology promotes technological parks and provides their federated startups seed capital in the amount of USD 55 thousand. The greatest achievements, among public institutions, in the field of startups support has TTGV – Technology Development Foundation of Turkey, which was founded in 1991 with a loan granted by the World Bank Ankara. TTGV mainly supports the most innovative technology projects. To date, the foundation has supported 950 projects in the amount of USD 300 million. The Foundation also had a sizable contribution to creation of two companies supporting startups: Is Girisim and Turkven, which created foundations for investing based on venture capital principles. Since 2000, the two institutions have co-financed entrepreneurs in the amount of more than USD 3.5 billion. In Turkey, they are also present non-profit organizations with a global reach. One of them is Endeavor, an organization supporting entrepreneurs from around the world which have potentially ‘high firepower’. The organization was founded 1997 in Argentina and Chile. Its purpose is to search for promising entrepreneurs in emerging markets countries. In 2006 it opened a branch in Istanbul. Endeavor looks after, among others, as promising startups from wireless technologies industry as: Pozitron and AirTies. Here also was raised Yemeksepeti – an e-commerce platform through which so successfully is sold fast food served by brands such as: McDonald’s, Burger King or KFC – with delivery to the customer. Some other notable startups of Turkish startup ecosystem include Onedio, called also “BuzzFeed of Turkey”, social gaming company Peak Games, the largest classified site sahibinden, huge shopping platforms like hepsiburada.com, n11.com, gittigidiyor (which is part of eBay) and Trendyol, marketing tool Insider, fintech platform iyzico, taxi-booking app BiTaksi, delivery startup under 1h from nearby places called KapGel etc. We will soon cover the most important startups from Turkey in much more details. Stay tuned!